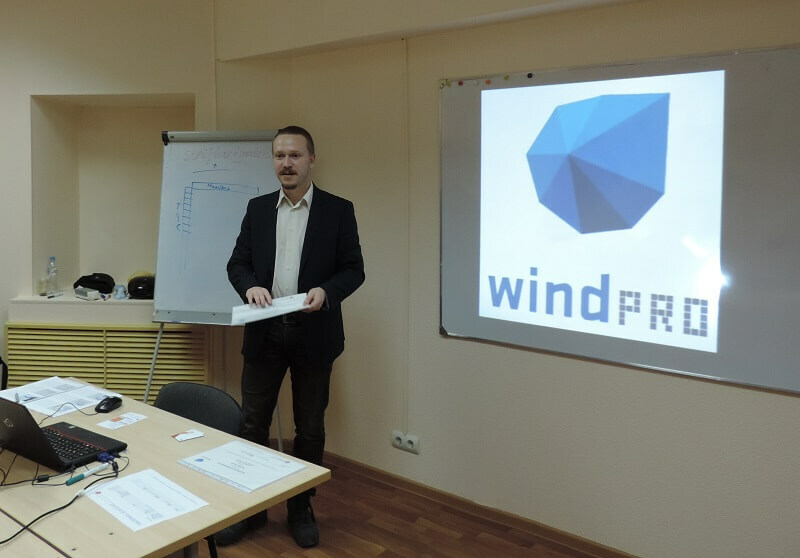 Last week, a training course on working with the leading wind power analysis software WindPRO 3.2 was held in Moscow from October 23 to October 25, 2018. Five more Russian specialists gained skills in using the tool for planning and designing wind power facilities. For companies, there specialists will be able to independently carry out the necessary calculations and design WPPs without resorting to expensive external experts. The windPRO component software (SW) provides access to global and regional databases, allows using satellite images, license maps with high resolution, use and download wind monitoring data. The WTG catalogue contains an overview and technical data on wind turbines of over 500 different types. The SW allows predicting the generation of electricity and make calculations on the environmental impact, calculate the industrial effectiveness of a project, create a visual picture of a project in 3-D pegged to a specific area and taking into account the terrain relief. The Russian Association of Wind Power Industry acts as a provider of this course and a guarantor of its quality for the second year in a row. The course is conducted by a teacher of the German company EMD Deutschland GbR, the European representative office of the software development company windPRO EMD International A/S. Experts of the company also provide future software technical assistance. At the end of the course, all participants demonstrated a sufficient level of skills and competencies in working with SW and received international course attainment certificates. ⟵The biggest crane in the world. Sarens.